If you are feeling the pressure of doing too much or not having enough time with your family, then you might want to consider if you have planned enough time off to be with your family and friends. It is difficult trying to juggle family and work commitments, and often it is the social side, which you forget about concentrating on work and family, until the commitments take over your own free time. There are some signs which you can look for in your own schedule, highlighting that maybe it is time to carefully consider your plans; move forward by planning less business stuff into your diary and consider some of the free time activities you can participate in, which will help your stress too. It is easy at this time of year to start adding too many tasks to your to do list. It can become so long that you just don’t have time to deal with any of the items that you want to complete. 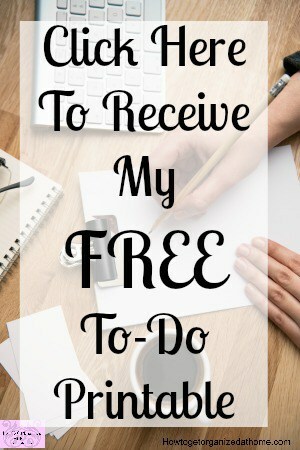 One sure way to see whether you have too much to do is if some of the items you like to do for pleasure, such as an exercise class or the monthly get together with friends, you cancel more than you attend, you might need to consider making more free time. Stress is an indicator that you are worrying and doing too much. It can have a negative impact on your health and on how you feel. Dealing with stress with medication is a short-term solution. You need to consider the long-term effects stress can have on your health and your ability to function; it can lead to depression and other health issues and you need to take action now. Ask for help from your family members if you are trying to do everything at home; if the problem is work related then you need to see where you can reduce the stress. It might mean that you need to plan your day better and have a realistic amount that you are able to complete on your to do list. Stop and think what is a realistic amount that you can do in a day, and plan your day around these tasks; talk to management if you think they are asking too much of their staff. It could be something to bring up at a staff meeting, but bear in mind the poor economy and the fact you have a job. You might find that management need you to do more because of staff cuts and needing to take up any slack. The problem with this often means that you are doing so much it can have a negative impact on your health and enjoyment at work. I did leave a job that was asking for too much, they wanted a full diary of appointments throughout the day with no time to do paperwork. This meant I had to do this after hours and I would often find myself still at work at 7pm, but not paid after 5pm and this would happen most days of the week. However, my manager would leave dead on 5 pm and this annoyed me. The response I would get was; ‘you want your bonus at the end of the year don’t you?’ Anther colleague stood up to this manager and said no, I would rather have the money for all the overtime. It did make me think about how they used the staff and it wasn’t long after that, I left. It is important to put your health first because if you ignore the signs of stress and working too much your body will only continue on this path for a short time. Ensuring you have enough free time, is more about having time to do the things you want and enjoy and allowing your body and mind to relax and unwind. Therefore, if you don’t make time for free time, then you might be doing more than you can manage. This can lead to stress related illnesses including depression. Increasing the free time in your life will have a positive effect on your health and mood.